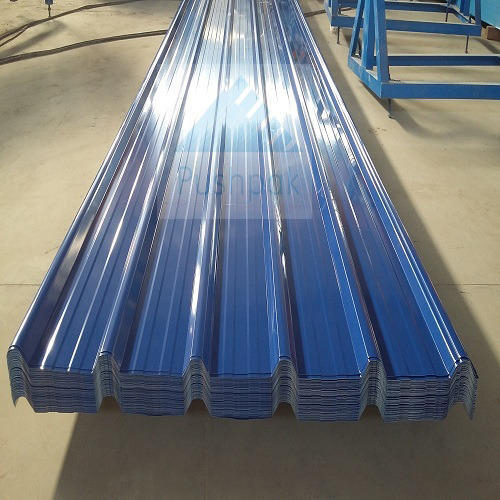 We manufacture prime array of Metal Roofing Sheets that is widely applied in warehouses, garages, industrial roofing, household cladding, agricultural industries and many other. Our metal roofing sheets are made from prime stainless steel & aluminum that are free from corrosion and can withstand harsh weather conditions. The sheets are coated with insulated material, which prevents electric and thermal conduction. Metal roofing sheets have superior service life as we use coating of aluminum asphalt in them. Color : Attractive colors are painted over these metal sheets to provide aesthetic beauty. These sheets are available in standard range of colors like tuscany red, night sky poppy red, Merlin gray, blue, olive green or light gray. Shapes : The sheets are available in trapezoidal and sinusoidal profiles.